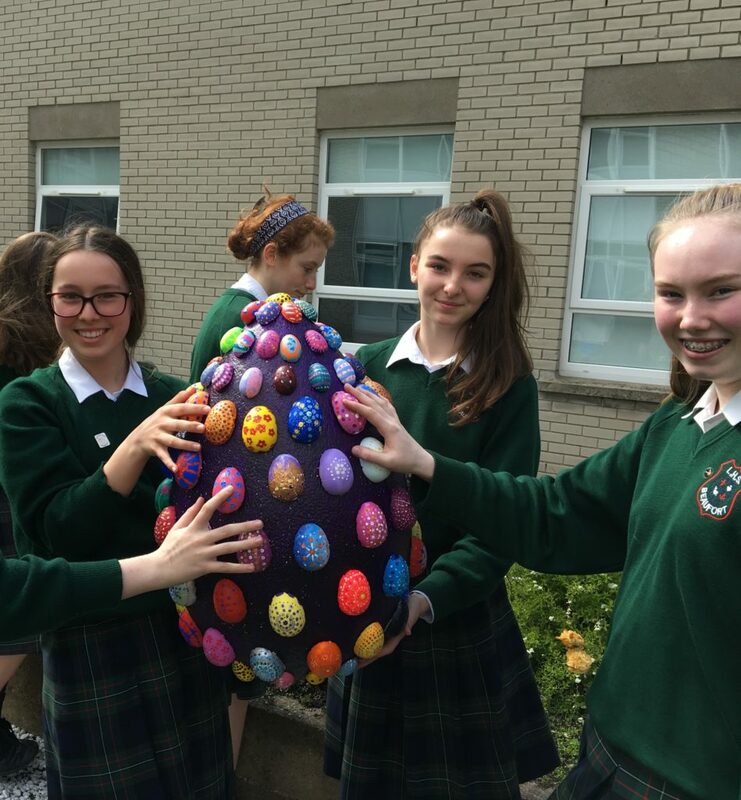 The Art students in 2nd Year have completed the decorating of the egg sent from Dundrum Town Centre. Some 1st and 4th year students painted some of the mini eggs too. Well done to all our artists for contributing. 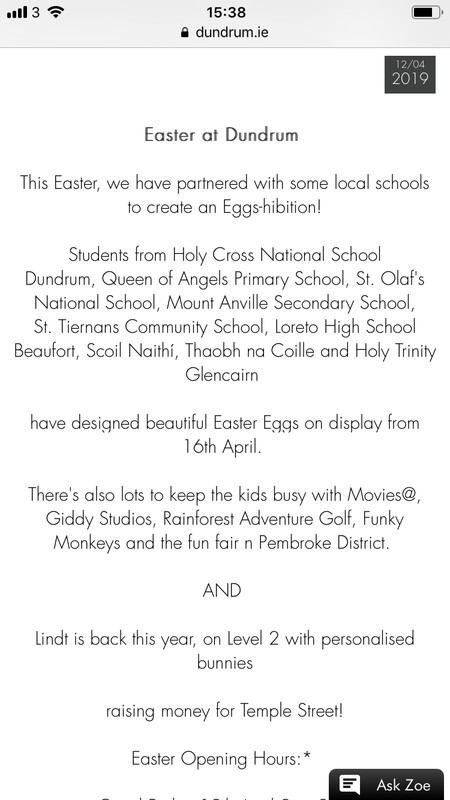 It will be displayed in Dundrum Town Centre from 16th – 21st April. If you get a picture of it on display please send it to Ms.Bowe. The design is based on the ‘U Rock’ project we started last year. 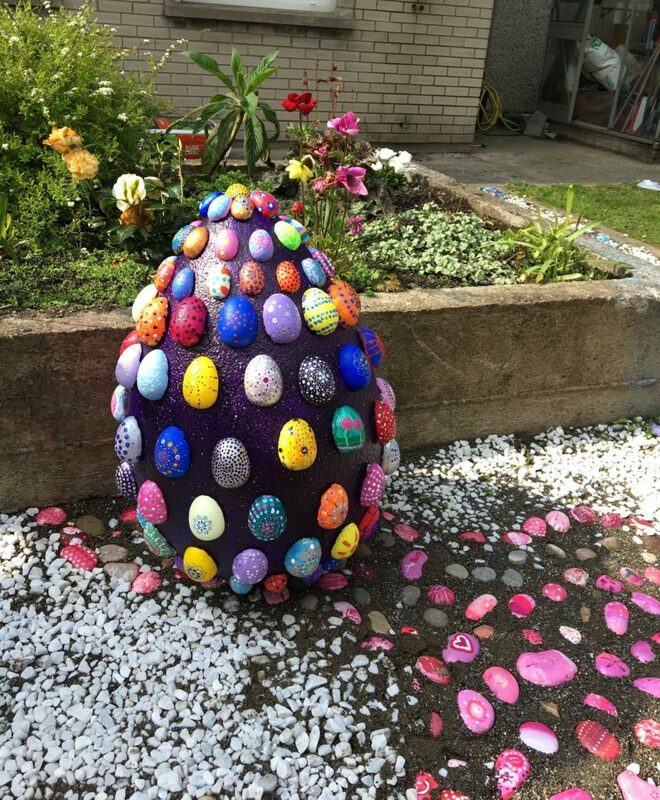 We, the Loreto Beaufort Art Students, have come together to create a ‘U ROCK’ egg. Our school has in recent years, taken an interest in creating a sense of community in the school through arts and crafts. Last year, the whole school came together to make the ‘U Rock’ project. 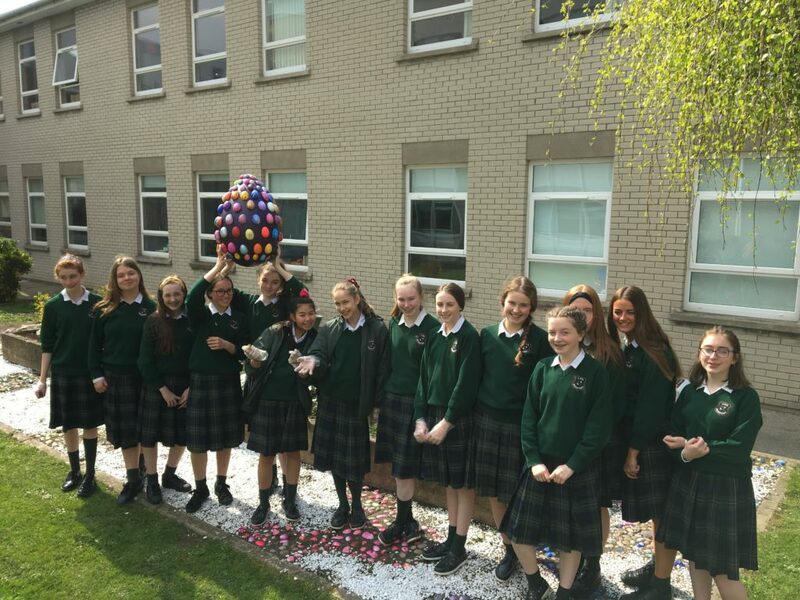 This project involved everyone in the school including all students, all staff and the local Loreto Sisters painting a rock. The rocks were then used to create an outdoor art installation. We wanted to celebrate diversity and acceptance of each other for who we individually are within our school community. We got to interact with other years in this enlightening project. When we heard about the egg competition we were so excited to be involved. We thought the eggs looked a little like the rocks and decided to use this opportunity to destress. We looked into mindfulness through art and found dot mandalas are used as a way to focus the mind into the present moment and celebrate colour. Before staring the project, we researched different methods of doing dot mandalas. We used complementary color sets to make our designs stand out. Using cotton buds, cocktail sticks and paintbrushes we created our eggtastic designs. We glued our mini eggs to the big egg for display. We really enjoyed this project because it taught us how to make dot mandalas and it was really interesting to see everyone’s different interpretations and designs. Thank you to Dundrum Town Centre for supplying all the materials.